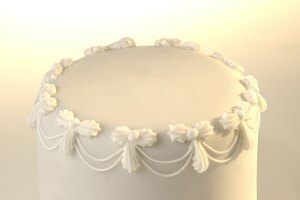 Every chef has a trick up her sleeve to make difficult tasks easier, and for pastry chefs, that trick is tylose powder. 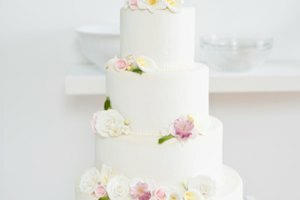 Tylose powder is used as a binding agent with fondant to make gumpaste, and you can combine it with powdered sugar to use as a paste for edible flowers. It can also be used to make paints for cakes and other baked items. 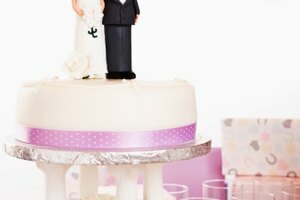 You have to use gum paste, edible paints and flower paste made with tylose powder within 48 hours or they harden. 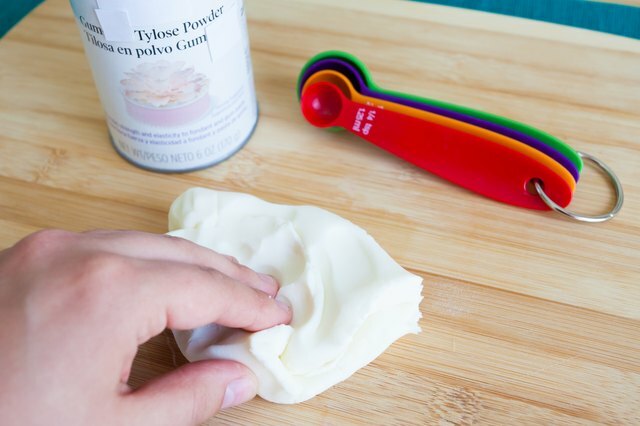 Sprinkle 2 or 3 tablespoons of tylose powder over each 1 pound of fondant. Use 2 tablespoons of tylose if you live in a dry area; use 3 tablespoons if you live in a humid area. Knead the tylose into the fondant until you feel it firm up, about 2 to 3 minutes per pound of fondant. 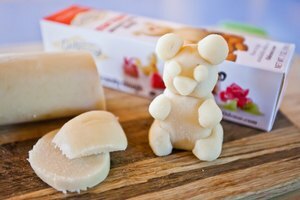 Place the gumpaste in an airtight container and store it in the refrigerator for 24 hours to allow the tylose to fully activate. 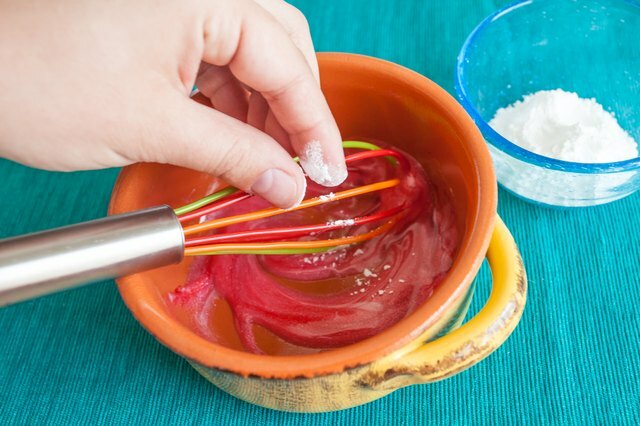 Whisk 1 teaspoon of tylose powder with 4 tablespoons of boiling water for every 4 tablespoons of edible paint you want to make. Thin the mixture with additional boiling water until it is reaches the consistency of piping gel, fluid but not flowing. 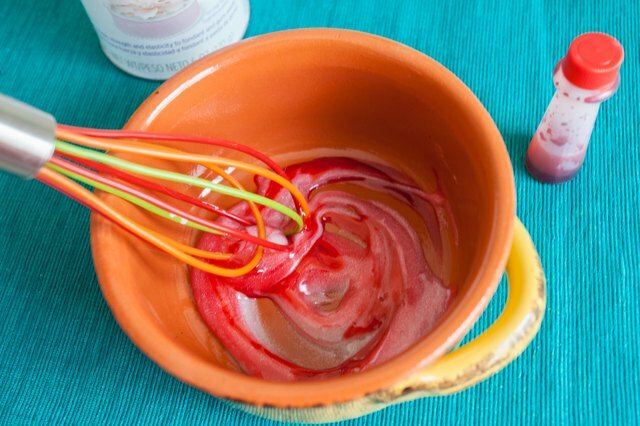 Add a drop of food coloring and whisk to incorporate. 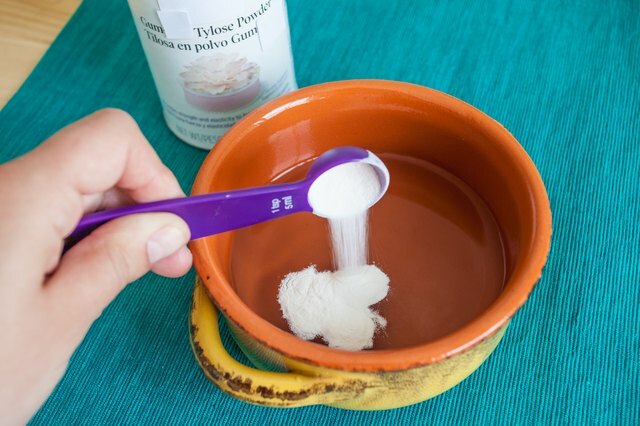 Whisk small pinches of dusting powder into the paint until it reaches a fluid consistency. 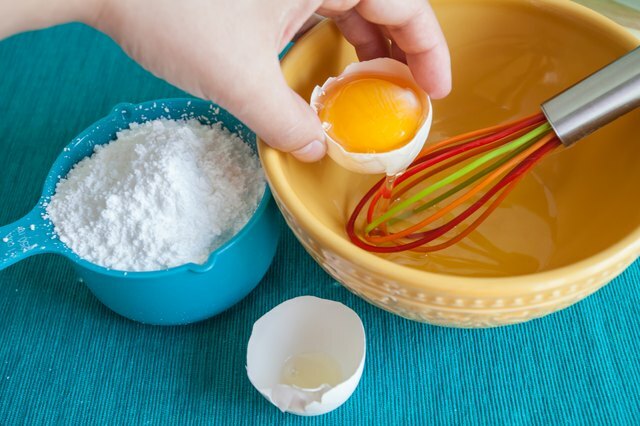 Beat room-temperature egg whites into powdered sugar until soft peaks form, or until you can lift the whisk from the mixture and peaks form but quickly collapse. Use a ratio of 1 egg white per 1 cup of powdered sugar. 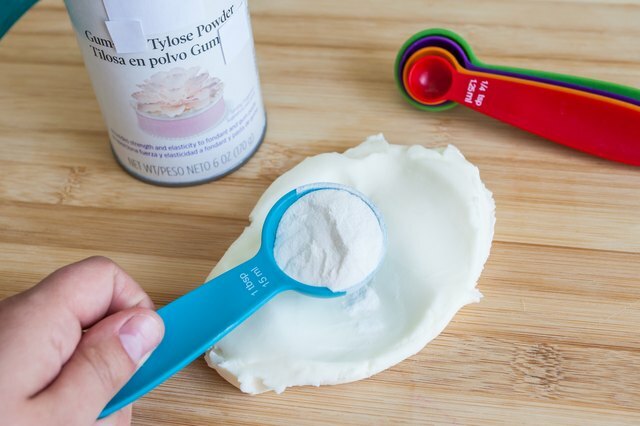 Whisk tylose powder into the egg whites and powdered sugar; use 2 heaping tablespoons of tylose for every 1 cup of powdered sugar. It will begin to stiffen immediately. Whisk teaspoonfulls of powdered sugar into the mixture until it's flexible but not sticky. 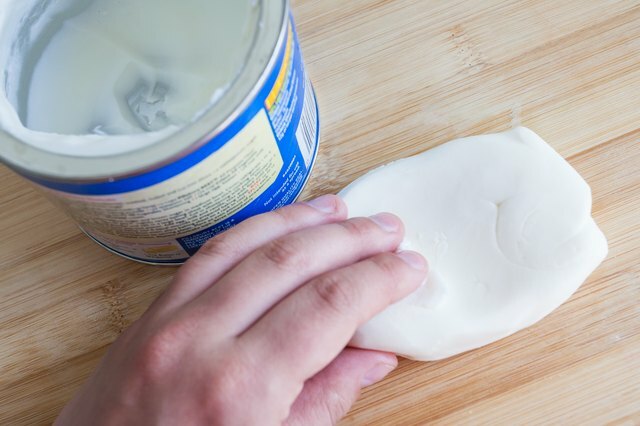 Coat your hands with a thin layer of vegetable oil and knead the flower paste until combined, about 2 to 3 minutes. 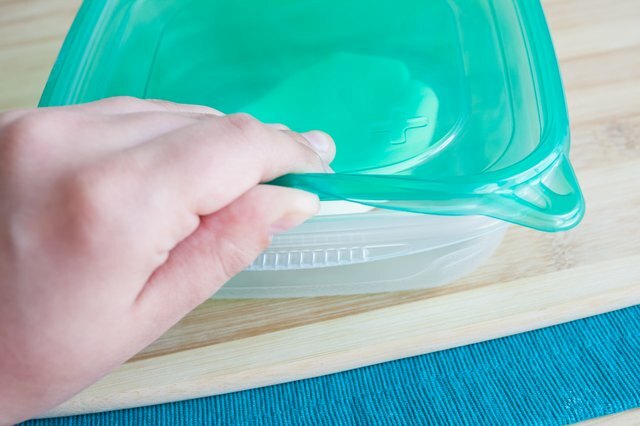 Store the flower paste in an airtight storage container in the refrigerator for 24 hours before using.